Create a gift registry when celebrating life’s biggest moments. Shop.com has done all the work for you. Shop over 3500 stores on one site. Add gifts from different stores on the same registry. Your friends even get Cash Back when they purchase your gift here. “See All Hot Deals“. The “One Cart Link” takes you to all partner stores; scroll down to store types and sort by “One Cart Stores“. Simply create an account on Shop.com. Next download “Shop Buddy” Shop Buddy is our tracking system that ensures you get all coupons available and the lowest price plus cashback. Click the drop-down from the sign in tab, click Gift Registry. The rest is a piece of cake. Just follow the steps and you are all set and you never left your computer. 2. Add Browse eligible gifts from the gift recommendation categories or by selecting the OneCart Stores tab in your search results and clicking Add to Registry from the product page or quick view. 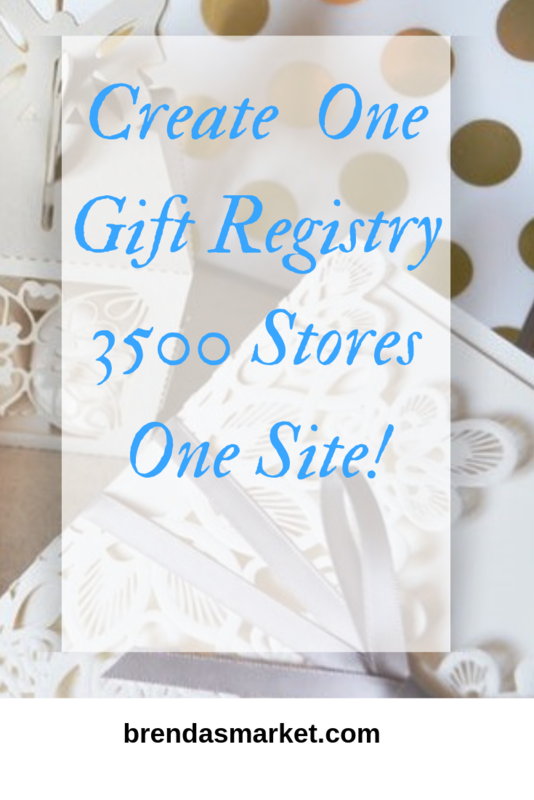 Once your registry is complete, share your registry link with others and let the gifting begin! Be sure to use the Share this link at the bottom of the page. You can search by the name or event title, registry type, or date of the event that you are trying to purchase for using our ‘find a registry’ tool. Show up to the celebration with the perfect gift every time! How can I create my Gift Registry? You can create your Gift Registry at SHOP.COM/registry. You can add, delete and update your Gift Registry anytime, day or night, online at SHOP.COM’s Gift & Registry section. You can simply Add OneCart products you find with the “Add this to…” feature from quick view or product pages. So get shopping and don’t forget to filter your search results to the OneCart store tab. How many items can I have in a Gift Registry? You can have as many different items in your Registry as you like. You can also request up to 500 of any single item in your Registry. Does my Gift Registry ever expire? A Gift Registry will remain active up to one year after your event date has passed. You will be notified prior to any deletion and be given a chance to update your Registry. How do friends and family find my Registry? There are two ways for your friends and family to find your Registry. First, you can send them an email containing a direct link to your Registry. Just copy the registry “Link for Sharing” when managing a registry. Second, tell them to visit SHOP.COM and click the Gift Registry link. Then, just tell them to follow the simple instructions to Find a Registry. What happens when someone orders an item from my Gift Registry? When an item is purchased from your registry, the remaining number in the “Has” column of your registry is reduced accordingly. How do I manage my Gift Registry? You can add or remove items, adjust quantities, share your Registry with friends, or edit your Gift Registry at any time. You can even create additional registries for other events. Just use the “manage” link to access your registry. Can I delete items from my Gift Registry? Yes, you can remove items at any time. Just use the “manage” link to access your registry. Is gift wrapping available for all items in a Gift Registry? Gift wrap availability varies from store to store and by product type. If gift wrapping is available, this option will appear during checkout. Some stores will charge an additional fee to include gift wrap.